EIP is a full-service industrial plastic distribution and fabrication facility offering a wide range of plastic products and value-added services to support the regional manufacturing and commercial markets. With our new HRK 125 Series line bending machine, EIP is truly becoming your one-stop-shop for all of your plastic needs. Featuring many similar characteristics of the HR and HRT Series. The HRK Series comes with the addition of double-sided heating, adjustable heating wires built into a steel frame, and a programmable timer that automatically releases when the user-defined time is reached to provide consistent top and bottom heating. 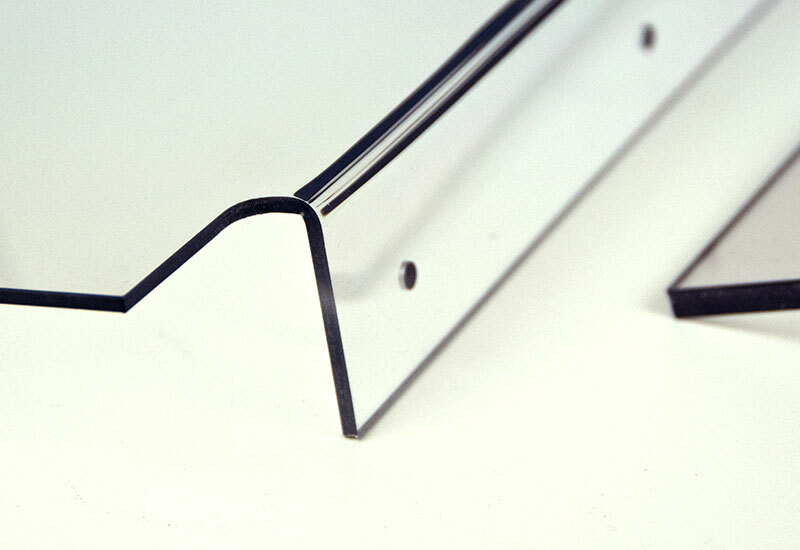 As specialists in close tolerance machining and plastic fabrication, EIP is committed to producing high-quality creative displays like plastic bookcases, food processing machine guards, and protective housing units are all delivered on-time and on-budget with our new HRK Series plastic line bender. We work with our customers to fully understand product specifications, technical requirements, and produce a premium finished product. After the HRK 125 Series heats the material, it is positioned on a JIG to bend to its required shape held together either with weights or JIG clamps. The HRK 125 Series’s accessories offer various extension options, specially made fixtures, underframes, and foil bending profiles. For more about EIP’s HRK 125 Series, the video below talks about all it has to offer. We offer numerous services in addition to plastic line bending. These services include laser cutting and engraving, plastic welding, thermoforming, edge-polishing, and light assembly work. Our goal is to anticipate our customer’s needs and make the buying experience as easy as possible. All of our value-added services coupled with our new state-of-art line bending machine makes EIP your one stop shop for custom plastic fabrication.